7,877 eating and drinking locations in Connecticut in 2017. 154,100 restaurant and foodservice jobs in Connecticut in 2017 = 9% of employment in the state. By 2027, employment is projected to grow by 7.1% = 11,000 additional jobs, for a total of 165,100. $7.5 billion projected sales in Connecticut’s restaurants in 2017. Nearly 1 in 10 American workers is employed in the restaurant industry; many on track for success in the industry thanks to widespread training and career growth opportunities. One in three adults in America got their first job experience in a restaurant. A career ladder for millions of employees of all ethnicities and backgrounds, Connecticut’s restaurant industry offers exceptional opportunities for professional development. 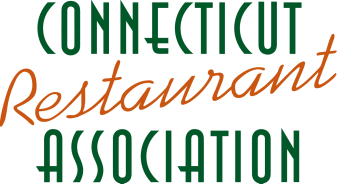 The Connecticut Restaurant Association, in partnership with the National Restaurant Association, offers career development programs that are producing the next wave of restaurant industry professionals and food safety programs that protect the health and safety of consumers. ProStart prepares high school students for careers in the field and offers annual scholarships. Through our ServSafe® certification program, we strive to educate foodservice managers, food-handlers and anyone working in the foodservice industry, on best practices for food safety. The training encompasses a wide variety of important food safety topics including employee hygiene and health, receiving, storage, transport, food prep, display, service and more. ServSafe® training and certifications are accepted as Qualified Food Operator Training in the State of Connecticut.